Moving from one corner of the city to another is relatively easy and doesn’t require too much planning. Local moves can be completed in half a day and it’s easier to keep track of all items that are being transported. Long-distance and interstate removals are much more complicated and require experience. 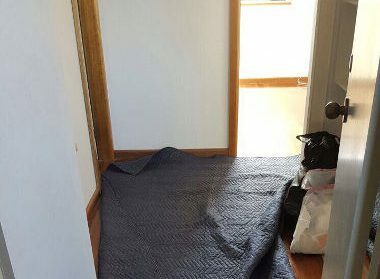 It’s a good idea to hire reputed Canberra to Sydney removalists to handle this task for you. Canberra and Sydney are over 280kms apart and it takes a little over three hours of non-stop driving to get from one city to another. While this distance isn’t as big as the distance between Brisbane or Melbourne and Sydney, the journey still involves crossing state lines. We at Fast Removalists Sydney are experienced and are considered the best interstate removalists in our local area. Our team will make sure all items are securely transported to the destination and you don’t need to worry about loss or damage. Why Hire Professional Canberra to Sydney Removalists? Strategy and Planning for Removals – Canberra to Sydney – Professional removalists know how important planning and logistics are and how much of an impact they can have on the moving process. We have experienced how difficult, time-consuming, inefficient, and risky, unplanned and disorganised moves can be and make it a point to plan every removal job well. Our experts take a number of factors into consideration during the planning process and these include the route, destination in the city, road and traffic conditions, a number of items to transport the schedule, etc. Once we have all the information, a plan is created to get the items to the location as quickly and efficiently as possible. 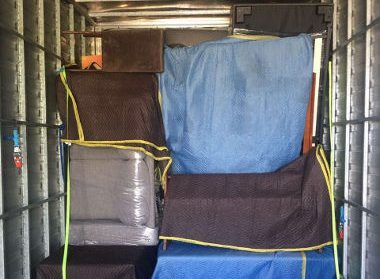 Removals Canberra to Sydney – Packing solutions and techniques – All the planning and logistics are useless if the items aren’t packed properly. The cargo has to endure the rough movement, jostling, vibrations, and other such factors during the trip. If they’re not anchored to the moving truck floor or packed correctly, they can tip over and fall, which can cause damage. Our team of expert interstate removalists knows how to pack all kinds of items, including delicate electronic items, crockery, glassware, decorative items, etc. 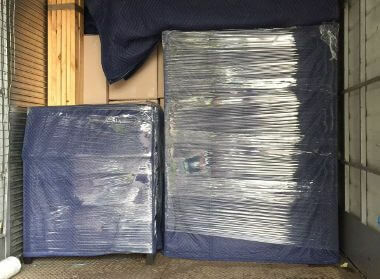 We use the best packing materials and ensure all our moving boxes have good impact resistance to protect the items inside. Our removalists will also label all items carefully and pack one room at a time as this helps keep track of all items and ensure they’re not lost during the move. Sufficient Interstate Removals Insurance – Accidents, falls, and loss can happen even if the professional removalists are careful with your possessions. That’s why moving companies offer comprehensive insurance coverage. While it is possible to get insurance for DIY moves, they tend to have higher premiums and lower coverage because the risk to the personal possessions and property is higher. Removalists are required by law to offer some form of insurance in order to protect customer interest. If your property or possessions are damaged during the moving process, the insurance will cover the repair or replacement expenses. Licenses and Permits – Professionals removalists are aware of all local laws and regulations. We know what kind of paperwork, licenses, and permits are required in order to cross state lines and transport your possessions to Sydney. Our drivers also keep their licenses up to date and they have the right paperwork for driving heavy vehicles like moving trucks across state lines. This allows the drivers to pass through all checkpoints easily and without delays, which in turn ensures all the cargo reaches the destination on time. Our company is aware of all the laws regarding interstate removalist Canberra to Sydney so we make sure our team is ready for the job before they set out. 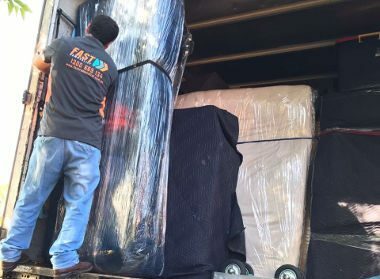 Full Moving Services from Interstate Removalist Canberra to Sydney – Our aim is to reduce the burden of the move from your shoulders, which is why we offer full-service interstate removals. This service includes everything from packing and transportation to unpacking at the destination in Sydney. Our expert team will pack up all your items, load it onto our truck, drive to Sydney, unload it, and unpack it. Our experts can even place the items in specific locations on your property on your request. We provide a full removalist service on commercial and residential moves. 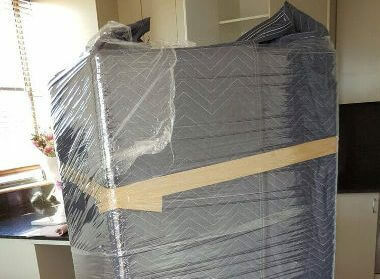 Furniture Removalists Services from Interstate Removalist Sydney to Canberra – Furniture pieces can be heavy, oddly-shaped, and difficult to move, which is why you need furniture removalists to help you with the job. This is a specialised service as removing furniture requires different skills, packing and hauling techniques. Our furniture removalists know how to pack small and big pieces, carry them safely through narrow corridors, doorways, and hallways, and anchor them securely to the moving truck floor. Our furniture removalists can also disassemble and reassemble the pieces to make them easier to transport. Cheap Interstate Removalist Company – Our aim is to keep the prices low and the quality of removal services high. Our custom service executives can help you plan a budget for the move and choose a package most convenient for you. We also offer an interstate moving cost calculator so you can get an estimate of the cost quickly and can plan accordingly. 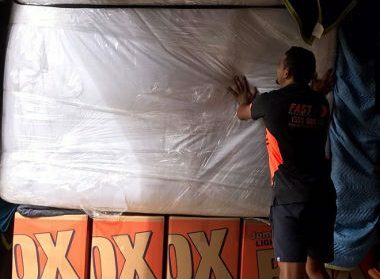 If you want to know more about our services as affordable Canberra to Sydney removalists, don’t hesitate to contact us at Fast Removalists Sydney. You can call us or fill in our online form and we’ll be happy to help.